April 19th, 2016 – Carbon Africa discussed the relevance of sub-national energy policies and planning for the implementation of the UNFCCC Paris Agreement as well as the UN Sustainable Development Goals (SDG) at the County Climate Change Forum, on April 8th, in Nairobi. 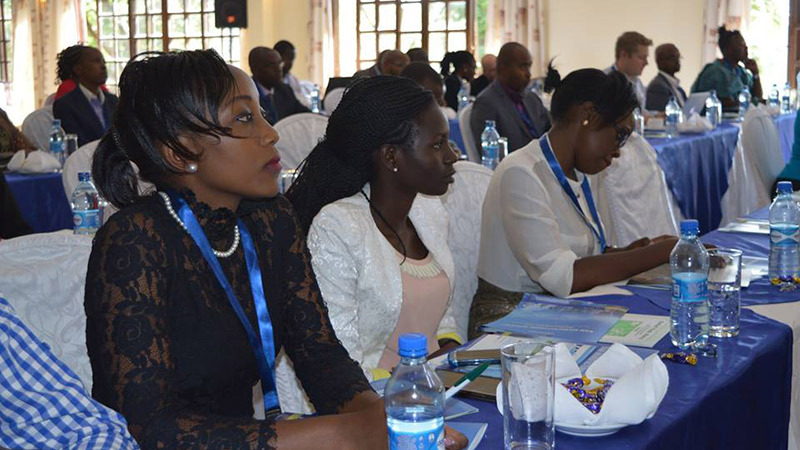 The event, held as part of Kenya Sustainable Energy Day promoted by Kenya Association of Manufacturers (KAM), brought together important players of the clean energy sector, like officials from national and county governments, project developers, industry members and development agencies. Together with Lydia Akinyi Omuko from Nairobi-based law firm VANCO, Carsten Jung, who is leading the preparation of county policies and action plans for 3 Kenyan counties at Carbon Africa, presented the case of “Kiambu’s Sustainable Energy Policy”, Kenya’s first sub-national energy policy. The company has been working closely with the Kiambu county government and partners to develop the sub-national energy policy in line with the specific characteristics and needs of Kiambu County. The work includes both a legal and energy baseline analysis that determined existing gaps that should be addressed by the policy in order to meet national and sub-national targets. The policy and action plan is currently going through the last adjustments before it will be tabled in the county assembly for approval. “Kenya recently devolved certain elements of energy planning from the national government to the county level that requires county governments to think of how they can best contribute to the national and international goals set for up-scaled clean energy usage as well as climate change mitigation. The county energy policies are crucial to effective energy governance in Kenya since counties having a big impact on the investment climate for clean energy within the county and are also best suited to provide tailor-made solutions for county specific challenges”, say Carsten and Lydia. Carbon Africa believes that an enabling environment at all levels of Government is fundamental to support up-scaled adoption of clean-tech projects. The company is now replicating the experience from Kiambu by working on county energy policies for Mombasa and Kisumu.